When I saw the promo for a bump competition in the Catskills — Hunter’s Bud Light Bumps and BBQ — I made my plans. 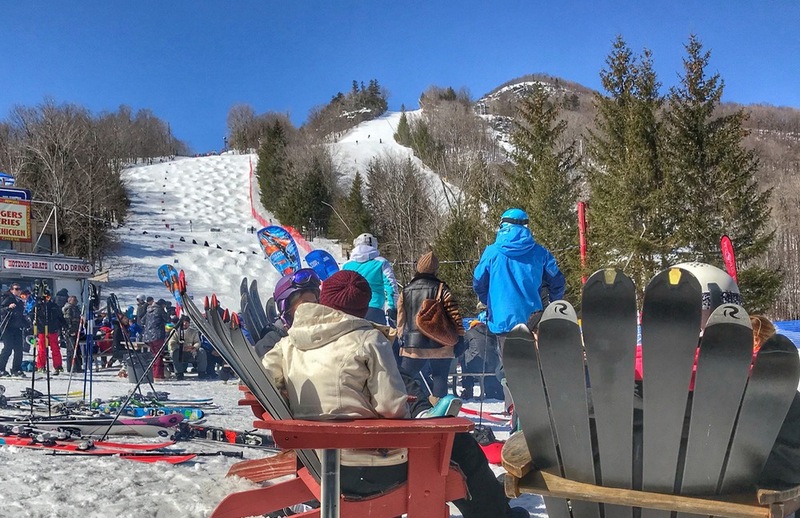 The sun was shining, the beer was flowing and there were smiles all around Saturday at Hunter Mountain. For the record, my fifty-plus bones said no but my 22 year-old brain was all in. I arrived early and booted up. On my way through the parking lot I ran into Dave Reddick and Porter Fox from Powder Magazine, who are doing a feature on the Catskills. We warmed up with some photos and a quick slackcountry tour with Daniel from Hunter and Jaime from the Brunnette Wine Bar in Kingston. 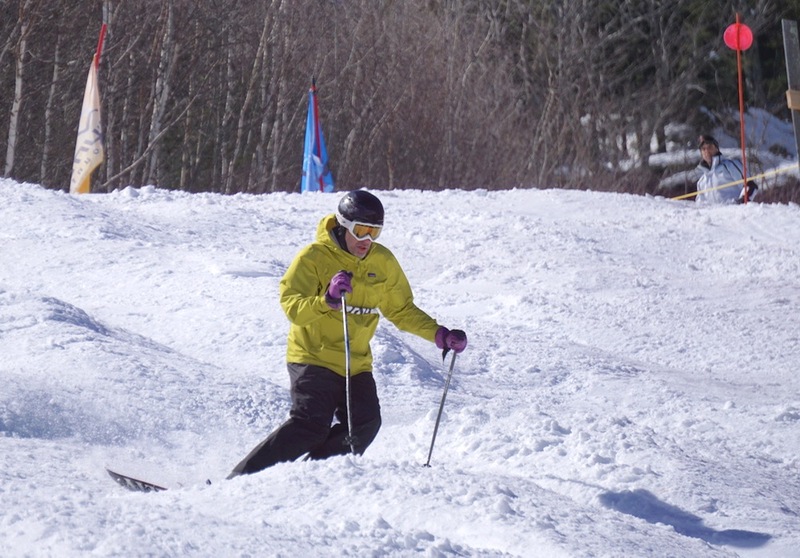 The snow was as manky as my telemark turns, but it was a good warmup for the competition. Hunter did a great job setting up the event with food and drink at the base of the course. The crowd was having a great time cheering the competitors and the spectacular crashes. The Hunter freestyle kids are an amazing group; they were putting on a clinic, showing how it’s done. It is my lot in life to be born into the same age group as Alan Belsky. He was his usual smooth and dominant self, providing me with inspiration to make it to the finish line without a yardsale-style crash. At the top, I waited my turn. Competitors passed encouraging words back and forth. That moment brought me back in time to my younger days with that nervous feeling in the pit of my stomach. Once out of the gate it was auto pilot until I saw the big kicker at the end of the run. It grew even bigger as I approached. I managed to pull off my spread-eagle without crashing, initiating cheers from fans in the crowd. It’s hard to beat soaking up the sun skiing bumps with friends after a March full of powder days. Spring is a such great time to ski Hunter. I hope this event becomes a tradition, the first of many more to come. You’re right, Hunter Mountain’s Budlight Bumps & BBQ promo did look very enticing. 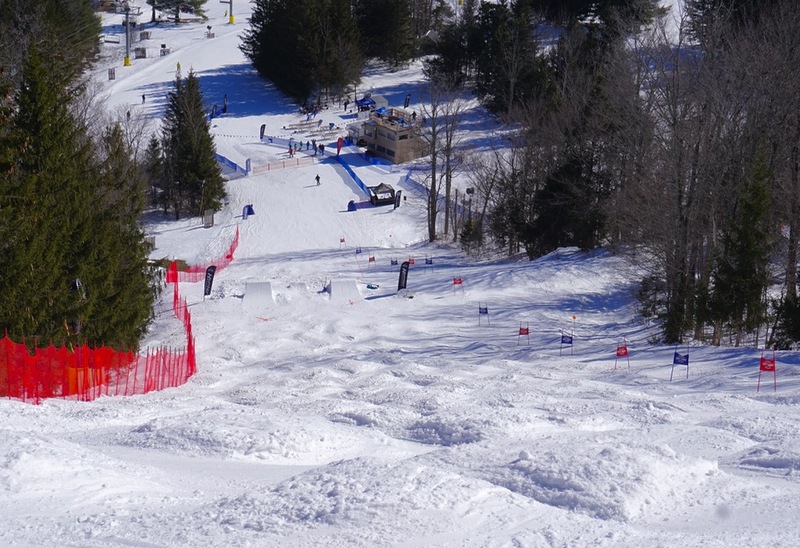 This weekend I was just reminiscing about the Gore Mountain Coco Butter Open!! Those were the days of great bumps on Hawkeye with music and entertainment!! Scott, thanks for the shout out. Next time we do a powder and bumps weekend comp. First run in the ravine second one on Ike. Awesome piece, Scottski. Looks like a great day. What a great idea on Hunter’s part too. Bluebird skies, Bumps and Beer. Who has it better? Clearly Scottski would qualify. Maybe NYSB could spancer him. 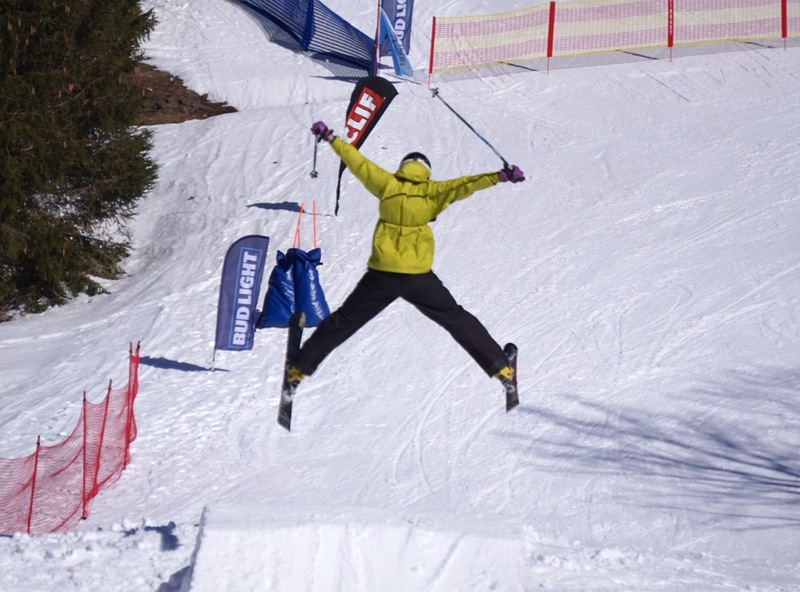 The best event Hunter Mountain has hosted in more than 30 years. More events like this should be done as the crowd really enjoyed it as well as the competitors. A great sunny blue skies day. Everyone was happy. 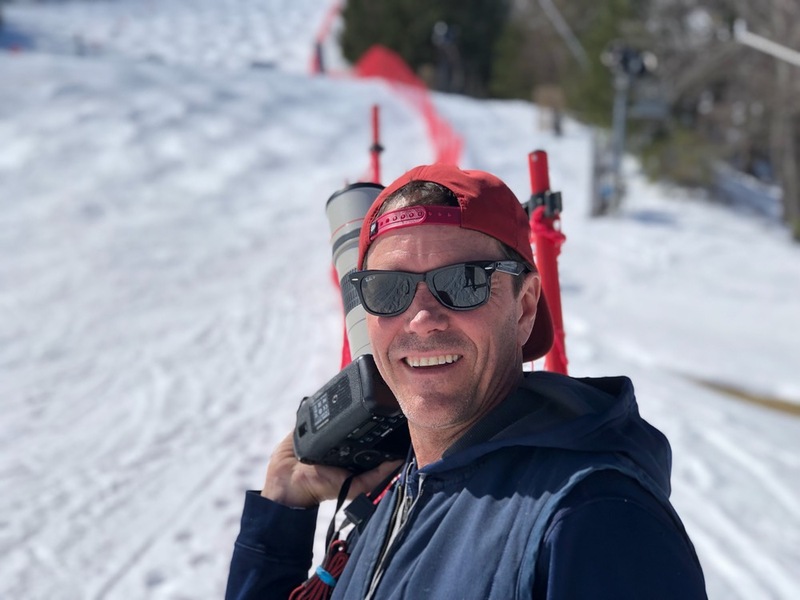 THANKS FOR THE SHOUT OUT to my husband, Alan, who makes it look easy at any age and who left his son standing at the gate at the US FREESTYLE NATIONALS/Waterville, NH so he could get back to Hunter to take part in this fun event. Thank you Hunter for putting together a great ski day and the sun gods for smiling on IKE. Quote of the day and mantra for all of us “grays-on-trays”.